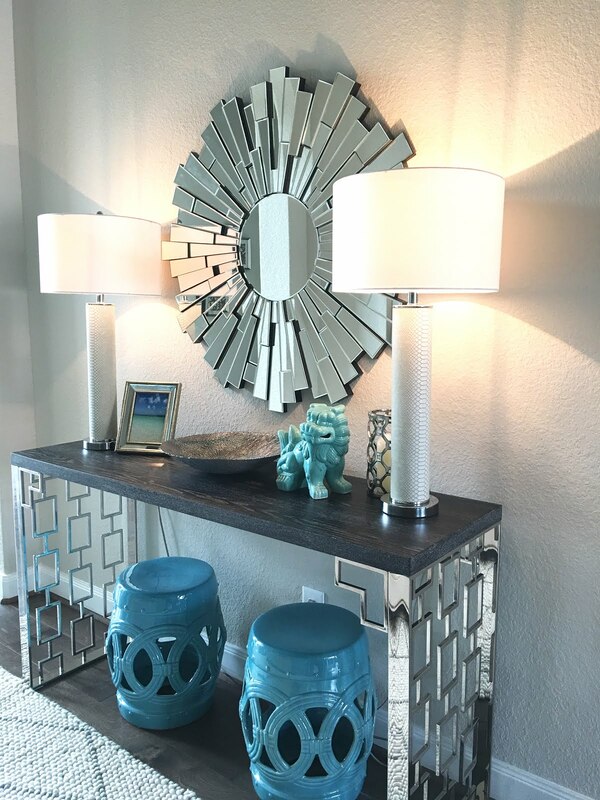 Classic Style Home: It's Back-to-School Time! My kids start school in two weeks so I'm in full shopping mode this week since next week is filled with orientations and last minute dental appointments. All three of the kids need new shoes and backpacks. I didn't plan on buying all of them new backpacks, but my two oldest boys said they smell really bad. The backpacks, not them. Although, that just reminded me to buy my oldest deodorant and body spray. Yep, he's at the stinky boy age. I really don't want to know why their backpacks smell horrible, but I will just take their word for it and get them new ones. My little guy is starting kindergarten this year and said he needs a backpack with his name on it just in case he forgets which one is his. I think he's more afraid that someone will take it. That's what happens when you have two older brothers. 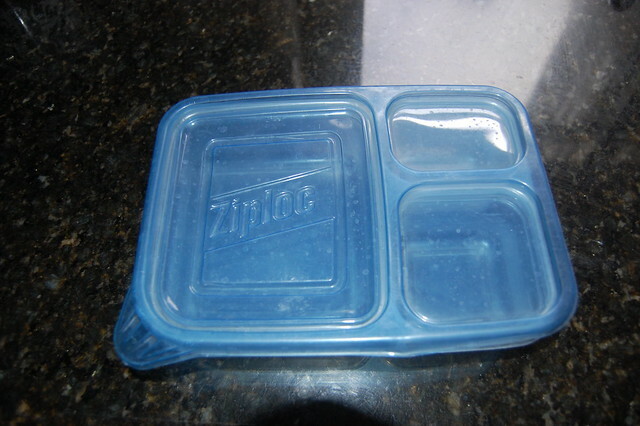 Anyway, I went to pick up some new Ziploc lunch containers since mine are a little ragged. They are Bento-like without the Bento price. I've been using these for a few years and I absolutely love them. 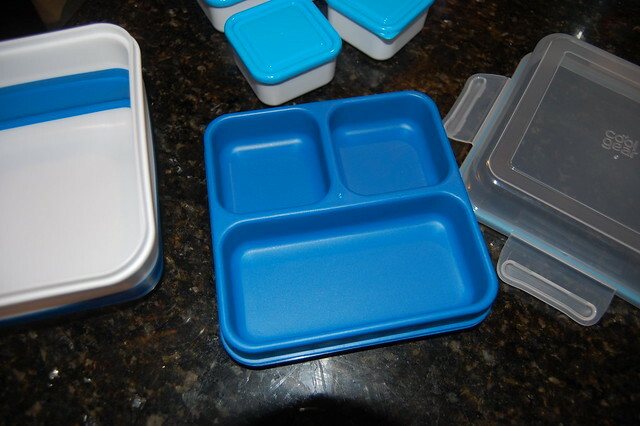 The only complaint I have is that they are a little long and don't fit in all lunchboxes. I happened to notice these instead at Wal-Mart. They are a much better size and the best part is no ice pack is needed since the middle tray serves as one. I believe they were $8.97 each. Here it is taken apart. 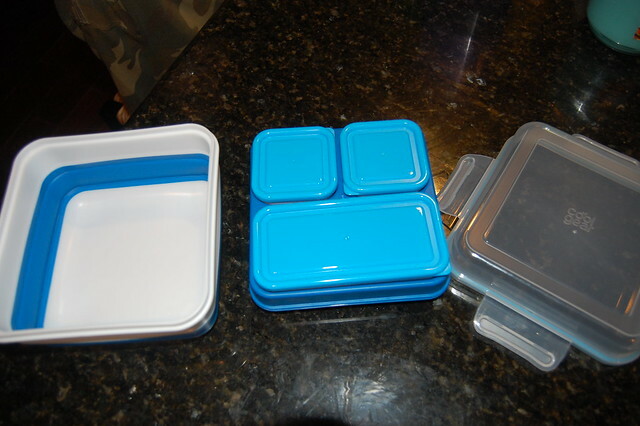 The white container can hold a sandwich or salad, not that my kids would ever touch a salad. 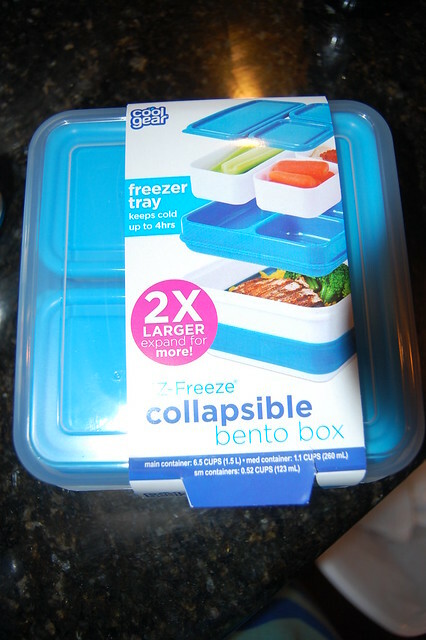 The smaller containers in the middle sit in the ice pack. I was a little worried my five year old wouldn't be able to take it apart so we gave it a test run last night and he had no problem. I don't think young preschoolers would be able to undo the side tabs because they are a little tough. I'm excited to use these and will let you know how they work out in a few weeks. If you remember, I've had so many problems with the kids coming home after school and throwing their backpacks and shoes all over the front entryway. I finally figured out a solution! I've always wanted them to use the garage to come in and out of the house, but I couldn't figure out how they could get in from outside. 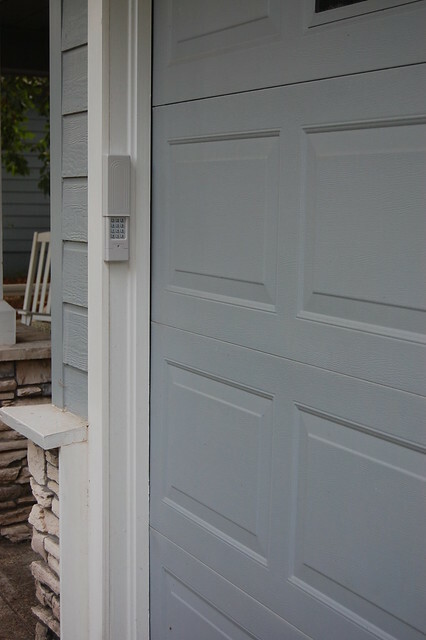 I found an inconspicuous keypad that's installed outside to open the garage door. I've obviously been living under a rock because every single person I've mentioned this to already has one. Better late than never! When I get my younger two boys off the bus in the afternoons I'll put the five digit code in myself. My older son will be coming home later from school, but he's already memorized the code. 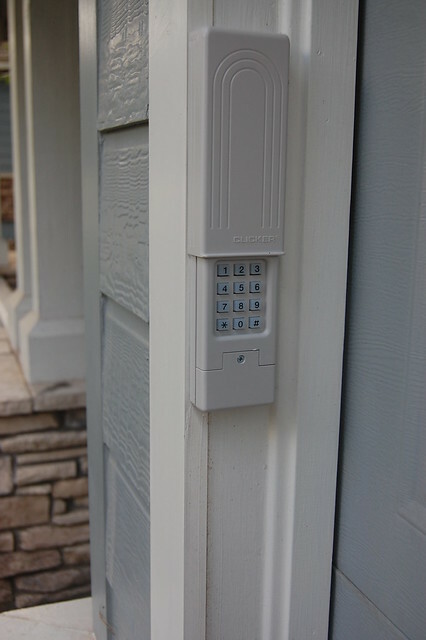 It's also nice for latchkey kids because you don't have to worry about them keeping up with a key. 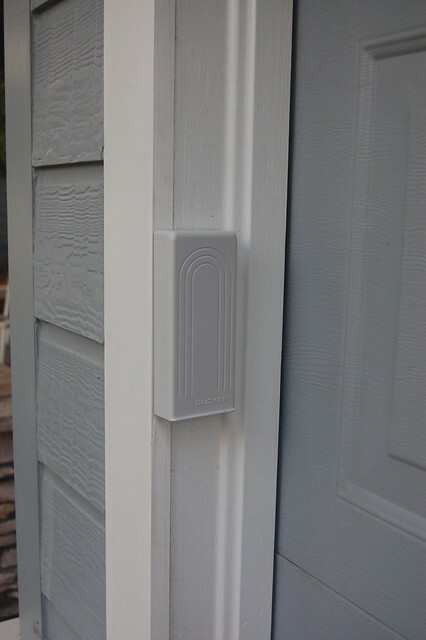 The garage door connects to our laundry room so they'll finally be able to hang up their backpacks there, too. We put the beadboard up a long time ago, but I never got around to caulking or painting it so that's why it looks a little sketchy. I also want to put up a pinboard above for school notes. Yes, these are the smelly backpacks. 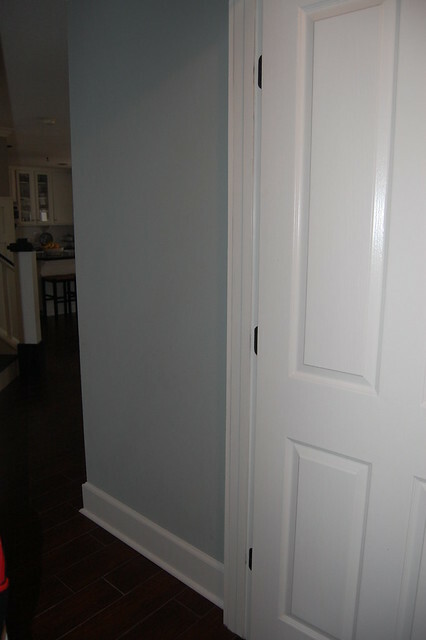 If I need extra hooks in the winter for sweatshirts I can add a few in the hallway that connects the great room and laundry room. I don't have room for shoes, but I do plan on getting them a three tiered wire shelf to go in the garage. I prefer they take their shoes off outside anyway so I'm okay with not having room for shoe storage in the laundry room. The best part is that I don't have to worry about Mario taking off with their shoes. I'm crossing my fingers this plan works out! My kids do the exact same thing in the foyer and it drives me crazy. My friend actually told me about a keypad where each kid has their own code, so if you are not home when they come in, the keypad (based on the code entered) can send a text to the parents saying "Joe just entered." How cool is THAT?? My oldest is almost 13, so I might have to get that. It tells you when they leave, too! 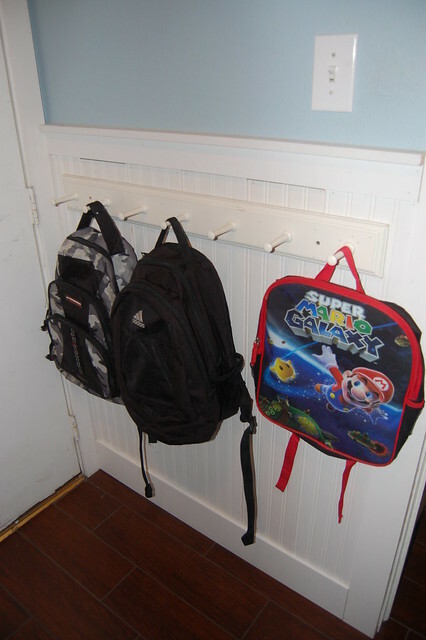 It sounds like your one step ahead of them and very organized....I love where they put there back packs...very cute!